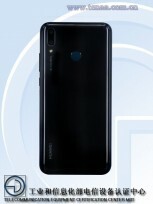 The Huawei Y9 (2019) is listed with an octa-core CPU going as high as 2.2 GHz. RAM will be either 4 GB or 6 GB, and storage will also be available in two options - 64 GB and 128 GB, with a microSD slot on board to provide more room for photos and music. There is a 6.5” screen with a notch and Full HD+ resolution. The main camera on the back, positioned vertically in the upper left corner, will have a 20 MP primary snapper and a 2 MP shooter for background blur and Portrait Mode effects. The selfie camera is 16 MP. Unsurprisingly, the device will have Android Oreo 8.1, likely with EMUI 8.1 on top. 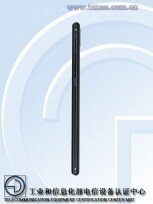 We know this isn’t a rebranded Honor 8X because of the different dimensions - here the Huawei Y9 (2019) is 162.4 x 77.1 mm x 8 mm in size and weighs 173 grams. 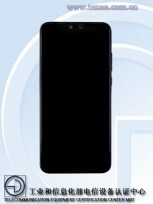 The battery is listed as 3,900 mAh, and even if TENAA is not a reliable source for the capacity of the power cell, the number sure looks intriguing. Mystery Huawei device gets certified with the FCC, is it the Y9?